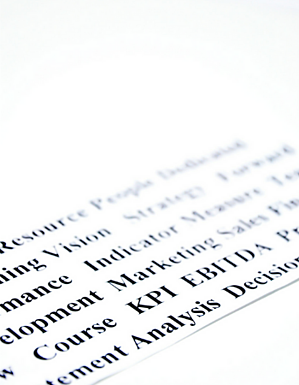 Here are 10 financial terms you need to know to grow a more profitable business. Equity is the combination of cash and other assets you’ve invested in your company. It also typically includes any earnings your business has retained since first opening its doors. A simple way to calculate your current equity is to subtract all the money your company owes (liabilities) from the value of everything it owns (assets). Positive equity is a good thing where lenders and buyers are concerned, whereas negative equity can be the result of high debt, low profitability, or too many owner withdrawals. Rather than paying themselves a salary, some business owners choose to withdraw cash directly from their companies in the form of draws or distributions. These personal financial payouts effectively reduce the amount of equity (ownership) you hold inside your business, and the result is reflected on your company’s balance sheet. In cash-based accounting, revenues and expenses are recorded as they occur – or when customer payments are received, and supplier bills paid. In accrual-based accounting, revenues are reported as they’re earned, and expenses as they’re incurred – regardless of when cash changes hands. Many new or smaller businesses use cash-based accounting because it’s the more straightforward of the two systems. Capital expenditures are purchases or fixed costs that contribute to the value of your business. They often take the form of long-term assets like software, machinery, vehicles, and buildings, and their purchase price is usually spread over a number of years for expense deduction purposes. Operating expenses, meanwhile, are short-term, everyday costs like office supplies and business insurance that are fully deductible in the tax year they’re expensed. Depreciation is the amount by which certain assets are considered to decrease in value each year. For tax purposes, it applies only to items that will be in use for longer than one year – computers and office furniture, for example. It does not apply to land, which is considered to have an infinite useful life. Depreciation amounts can usually be deducted against income on your company’s tax return. The rate at which your business spends money each month (especially venture capital) is known as its burn rate. As a measure of cash flow, burn rate is calculated by subtracting cash on hand at the end of an accounting period, from cash on hand at the beginning of the same period, and dividing that amount by the number of months the period contains. A negative burn rate indicates a positive cash flow - or an increase in cash reserves. COGS and COS respectively refer to how much it costs your business to make its product or provide its service. Knowing the amount of these direct expenses lets you determine whether your sales are generating a profit, and how much that profit is. You should note that reducing your COGS or COS is an effective way to increase profits without having to increase prices or sales volume. Deducting COGS or COS from company revenue tells you how much gross profit your business is earning. When you express that profit as a percentage of your revenue, it’s known as your gross profit margin. If your consulting business earned $200,000 in revenue last year, and your COS was $50,000, your gross profit was $150,000 and your gross profit margin was 75%. These figures are especially useful for performing year-over-year profit comparisons. Calculating the return on investment from an outlay of time or money can be helpful in determining whether a process or product represents good value. If your business spent $500 on a specific marketing channel last month - and performance metrics indicate that channel was directly responsible for $1,000 in revenue - the resulting ROI of 100% tells you the program is probably a worthwhile investment. ROIs must be monitored closely, however, to ensure returns consistently measure up against costs. Every successful business holds some combination of tangible (physical) and intangible (intellectual) assets. Intangible assets like patents, trademarks, copyrights, and goodwill can be difficult to quantify on a balance sheet, but represent real business value none-the-less. If you sell your business as a going concern, the size and quality of your customer base and relations – along with any branding you’ve established – are considered part of its goodwill. Goodwill typically accounts for any difference between a company’s tangible asset value and its selling price.